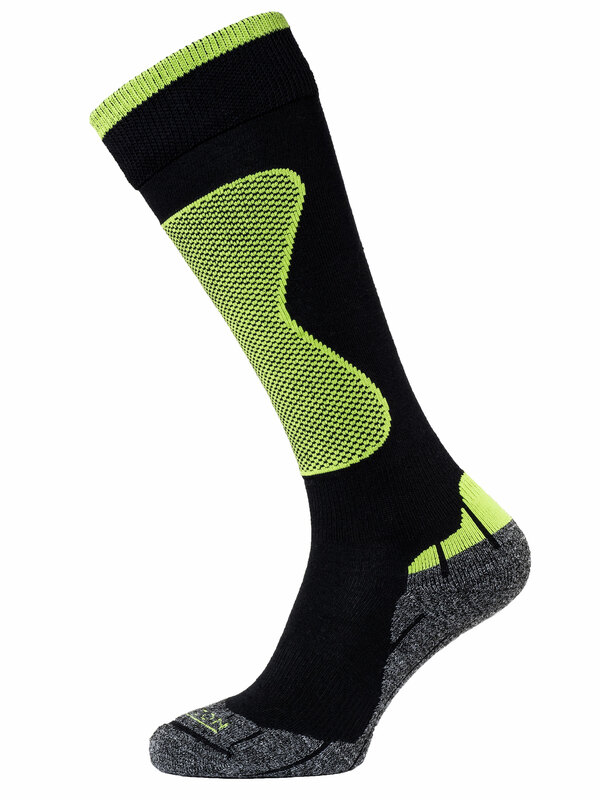 A ski sock made from a combination of PrimaLoft® and Extra-fine Merino wool is arguably the best way of keeping the feet warm and comfortable in freezing conditions. But when that sock offers fast wicking, quick drying Isolfil polypropylene, is Cordura® reinforced in the all-important heel and toe areas, has arch and ankle grip sections and a flat linked toe seam, what you get is the ultimate ski sock. The flat stitched leg hugs the calf while the tight knit padding in the sole and the shin offers protection and added comfort, keeping you out on the slopes for longer.